Nintendo's Wii U may not be the main star of this year's E3, but that doesn't mean the company's sitting this year out. Super Mario 3D World, Donkey Kong Country: Tropical Freeze, Bayonetta 2 and The Legend of Zelda: Wind Waker HD were just some of the titles that Nintendo's showing off this week. We'll direct you to our friends at Joystiq for more detailed impressions of Nintendo's E3 2013 lineup, but we've got a quick run through the aforementioned quartet of titles -- what we consider to be Nintendo's biggest games at the big game show. Join us past the break for a video and our impressions. Stop searching through castle after castle: this is the Mario you are looking for on Wii U. Super Mario 3D World is the closest we've gotten so far to a new Mario Galaxy game, and perhaps the closest thing we've gotten to a sequel to Mario classic Super Mario 64. And not just that, the game takes the 3D Mario formula we've seen in the past -- from special hats enabling various "suits," to vertical-oriented level design -- and adds in a new twist: a throw back to the not-quite-a-Mario-game Super Mario Bros. 2. You can choose from one of four characters before jumping in -- Mario, Luigi, Toad and Princess Peach -- each of which have the same abilities from the NES classic. Peach's trademark jumpfloat is in there, and Luigi's fast as all get out. 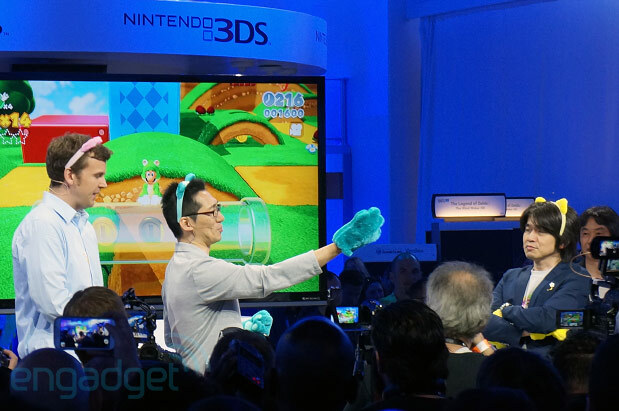 There's also a new cat suit, which is both adorable and a neat new twist on the traditional 3D Mario gameplay. It launches for the Wii U this December. Like Donkey Kong Country Returns before it, Donkey Kong Country: Tropical Freeze is another Donkey Kong platforming effort from the folks at Retro Studios. The game's gorgeous and the gameplay is as frantic as ever -- from jumping on baddies' heads to jumping in a mine cart, barreling through the world. And of course, there's plenty of collectable bananas. We also encountered Donkey Kong's stalwart companion, Diddy Kong, who jumped on our hero's back and offered a jet boost (essentially a double jump). 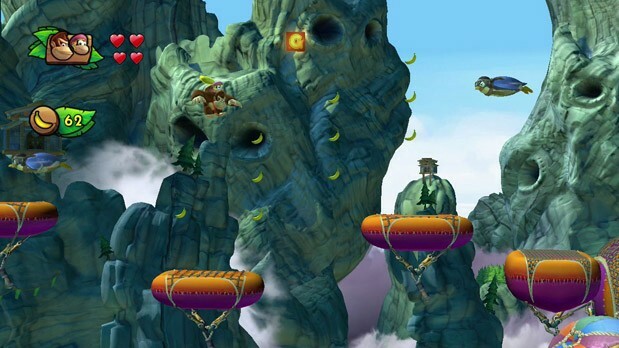 Donkey Kong Country: Tropical Freeze launches on the Wii U this November. 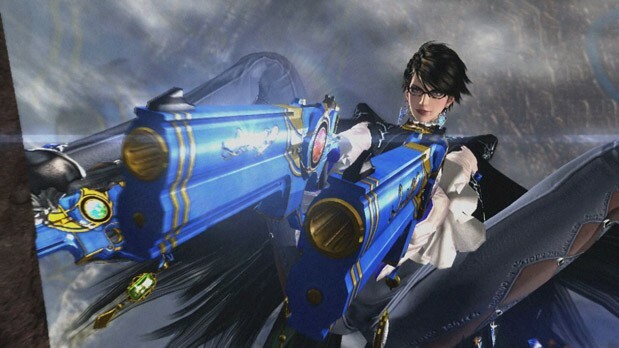 Bayonetta 2 is ... well, it's the same madness you first experienced in the original Bayonetta. The titular character is back for another bout of third-person action. The demo we played had us taking on fantastical enemies, some atop armored horses, all the while fighting on a harrier jet. So, yeah, it's even crazier than the previous game, and apparently the bullet shoes Bayonetta wore in the first game aren't making a return -- she's got a whip instead, which keeps enemies at bay from a safe distance. Not only is Bayonetta 2 a fun, ridiculous ride, and it's also an important third-party exclusive for Nintendo -- it currently has a 2014 launch window. GameCube classic The Legend of Zelda: Wind Waker is getting an HD refresh on Nintendo's Wii U, and the game's cel-shaded art style looks even better than it originally did as a result. 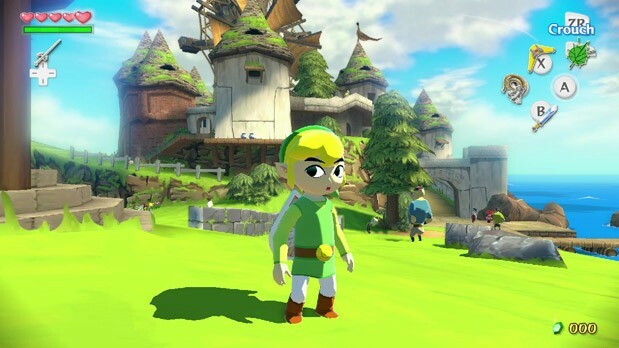 The green tunic Link wears pops and contrasts with the world around him, and animations are more vibrant than ever. Most importantly, the game is fully playable off-screen on the Wii U Gamepad (though you can also use the gamepad for inventory management, should you so choose). Nintendo's also added a few gamepad-specific gameplay flourishes, though the game is mostly unchanged from its original incarnation (outside of the HD-ificiation of it). The Legend of Zelda: Wind Waker HD launches on Nintendo's Wii U this October. ​Zach Honig contributed to this report.